The BMW 328 doesn’t just refer to the popular saloon car within the 3 Series range. Long before the 3 Series was created BMW built a sports car under that name. The BMW 328 was a pre-war open-top sports car. Like modern BMWs it was powered by a 6 cylinder engine which was mounted at the front and drove the rear wheels. The car’s production run was halted when the Second World War broke out. Today, to celebrate its 75th anniversary, BMW have created a new 328. The BMW 328 Hommage is an open-top two seater powered by a 3 litre straight six. It makes use of carbon fibre-reinforced plastic, which is used in the M3 and M6. In keeping with the original 328’s ethos of performance through lightweight, the car is not covered in paint so the carbon weave can be seen. The double kidney grille is in place, as you’d expect. Aside from that the car looks nothing like any BMW in production. Although it apes the look of the original it replaces the flowing aerodynamic lines of the pre-war model with angular bodywork. "With the BMW 328 Hommage we wish to pay homage to the passion and inventiveness of the fathers of the BMW 328," BMW Group Classic CEO Karl Baumer said at the car’s unveiling. BMW’s choice of event for the car’s debut was apt. The Villa d'Este Concours event is famous for bringing together motoring beauty and fame. 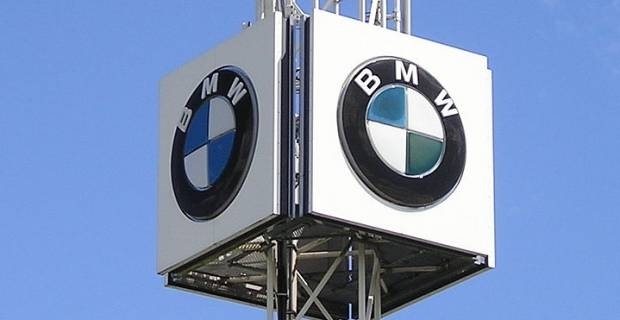 It’s an exhibition that BMW regularly use to present the company’s vision. A concept M1 Hommage was part of the show in 2008, and the BMW Group has also used the event to exhibit Mini and Rolls Royce cars. Although the public are unlikely to be able to purchase the car many of the design cues explored within the concept will influence future BMWs. So perhaps the 3 Series saloon will eventually have more in common with the 328 than a shared name.